In an exclusive interview with Movieguide®, Caleb Holloway gave a powerful, moving, heartfelt retelling of what he experienced in the real explosion of the Deepwater Horizon, a Gulf Coast oil rig. 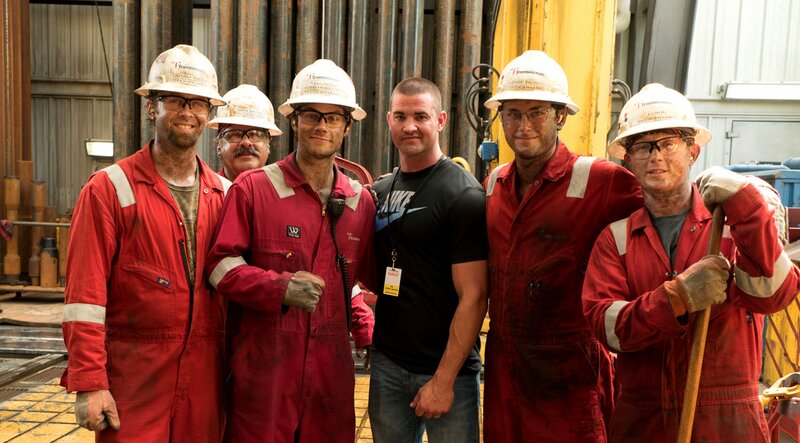 Caleb’s depicted as a key character in the movie DEEPWATER HORIZON and is portrayed by Dylan O’Brien. The movie also stars Mark Wahlberg and Kurt Russell. With a production budget of about $110 million, the DEEPWATER HORIZON movie crew built a huge 85%-scale replica of the rig with more than three million pounds of steel. Every visual detail of the Deepwater Horizon was re-created. Q: What was your job on the oil rig? Caleb Holloway: I was a floorhand. Along with my co-workers, I managed drilling equipment on the drill floor. Q: What were the first signs of trouble to you and your team? Holloway: We were in a final testing phase where our rig drills and gets ready for another rig to bring up the oil. I worked with four other floorhands and was in charge of the radio. We were getting ready for the next crew when we received a radio message that we were to check the pop-off valve. Adam was the nicest guy and said he would do it. He went to the driller shack in my place and ended up losing his life. Q: What happened when you and close co-workers understood that you were in a crisis? Holloway: I was training Dan and had gone down a floor to line up the vacuum to take up the mud from the rig floor. I went back up and that was when the blowout happened. Huge equipment was blown up. The radio broke. We could not follow emergency training protocol. I grabbed Dan, and we ran into the heavy drill room. I tried to get to the drill shack. There was mud first, then gas, then the explosion. I tried a phone but felt enveloped with gas, seawater, mud. Q: How did you and your co-workers respond? Holloway: I took Dan to the evacuation deck, but no one was there yet. The engines started revving due to lack of oxygen when the lights went off. We were in total darkness except for my flashlight. We got knocked around, and I was able to get Dan into the number one lifeboat. At that time I expected no survivors. I went to the main living quarters, and nothing was recognizable. Others started coming to the evacuation deck at same time. It was nothing like emergency drills. It was just chaos. Some jumped overboard. I was able to help bring out three critically injured [people] before the lifeboats were deployed. Q: Did you sense the presence and grace of God? Holloway: It was by God’s grace that the water was amazingly calm that night. It was by God’s grace that the supply vessel was on hand to help. Another miracle was how my friend fell into the water that in some places had burning oil on top and only broke his leg in the fall. I had in my hard hat the words to “How Great Thou Art.” I had shared the story of those words in my hat with Adam before the disaster, and those were the words sung at his memorial service. Q: Have you experienced PTSD since the event? Holloway: I spent the first year after the event in counseling. It is hard to talk about and hard to accept. It has taken a toll on me physically and mentally, but after about a year, my faith in God helped me to accept what happened. 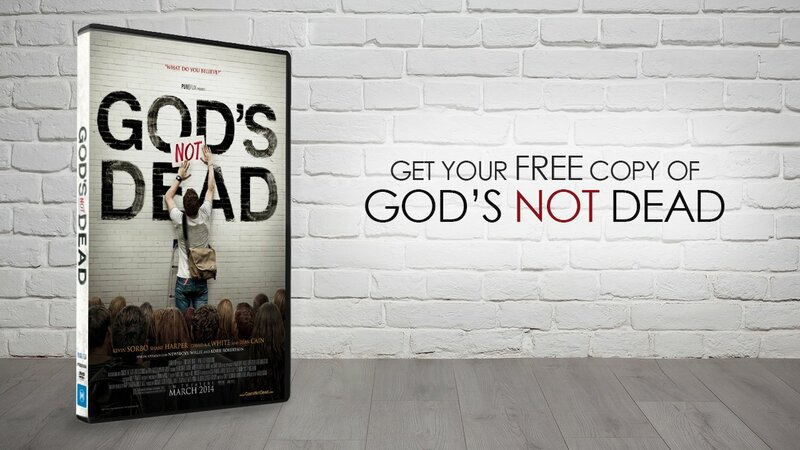 I had mixed emotions about helping with the movie, but I wanted to honor those who were lost. Dan and I were the only ones who survived of our team. Q: Do you think the movie’s dramatization of what happened is realistic? Holloway: Yes, the movie is realistic. It was chaotic. It depicts responses accurately. Many from that experience deserve recognition. Holloway: I still have a hard time talking about it, but I am doing well. I am now a firefighter and have been able to rescue people from burning cars and homes. I have a wonderful family with two precious boys. I am on a journey to find meaning in what happened. I want others to know that Jesus Christ is our hope and foundation. Q: What has most helped your recovery? Holloway: Counseling, Christian friends, and Bible study have all helped. 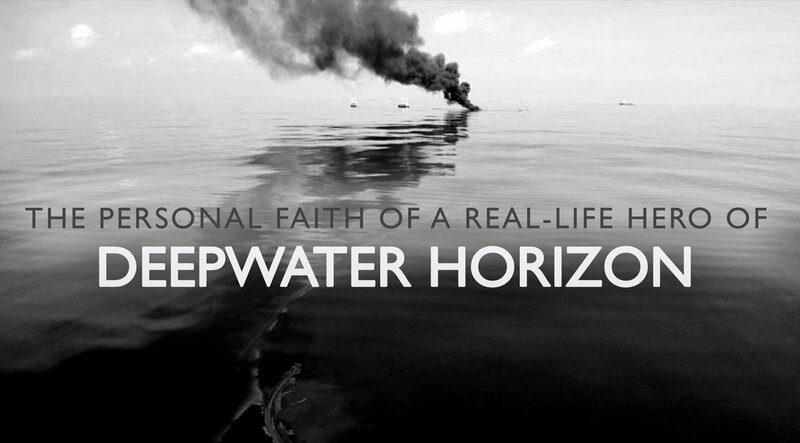 The “Deepwater Horizon” tragedy depicts the worst environmental disaster in U.S. history. To Holloway and the other 114 men and women who experienced the catastrophe 40 miles off the coast of Louisiana, the movie is a personal way to honor their fallen co-workers. For 87 days after the explosion, millions of barrels of oil flowed into the Gulf of Mexico, causing widespread harm to wildlife, as well as to the tourist and fishing industries reaching from Texas to Florida. This disaster was followed by an intense government investigation, litigation and political debate. Director Peter Berg says the focus of the movie is on the human story at the heart of the catastrophe. You can read the full Movieguide® review of DEEPWATER HORIZON here. Note: Diane Howard has a Ph.D. in Performance Studies – dianehoward.com.